Thats a Nintendo 64 if I ever saw one. 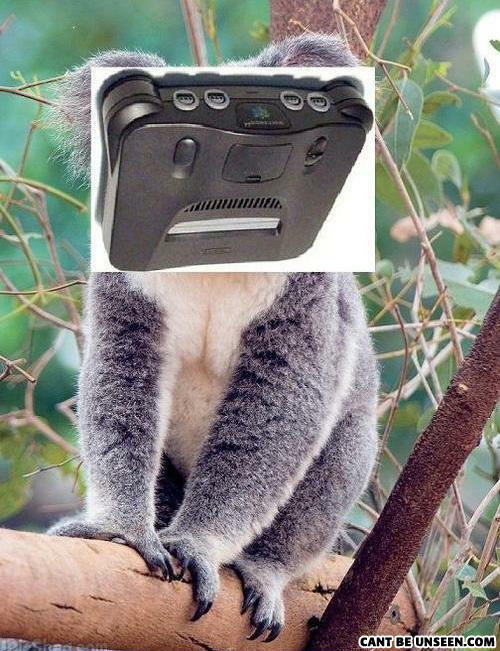 koala version of Darth Vader? Let's feed it Super Smash Bros. BTW I call first player.